Need a quick and easy project that is also useful? 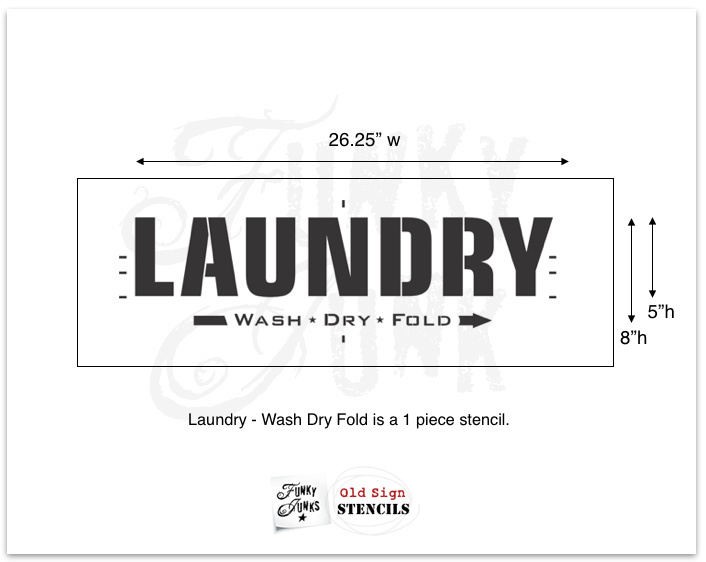 This handy, dandy laundry sign takes less than thirty minutes to create and will be used all the darn time! It starts with this fun stencil from Funky Junk Old Sign Stencils. 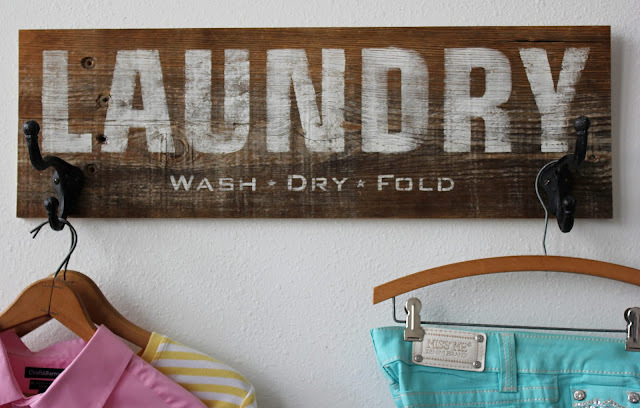 I grabbed an old board I had and stenciled the LAUNDRY sign. Because I use so little paint when stenciling, it dries pretty much instantly. I lightly sanded the letters after the paint was dry. I added two large hooks (from the craft store) for hanging laundry up. 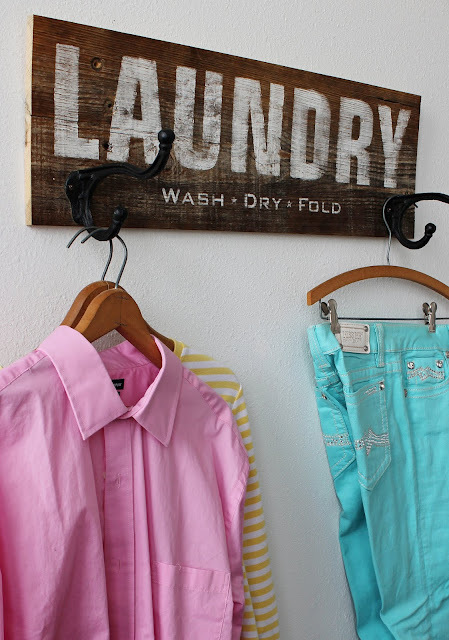 Be sure to clear coat everything since laundry rooms tend to have a lot of moisture. Use Large D rings on the back to hang the sign. I use D rings when a sign has hooks on it to keep it hanging evenly on the wall. Great sign, Becky! And I love how you added the hooks! Thanks! 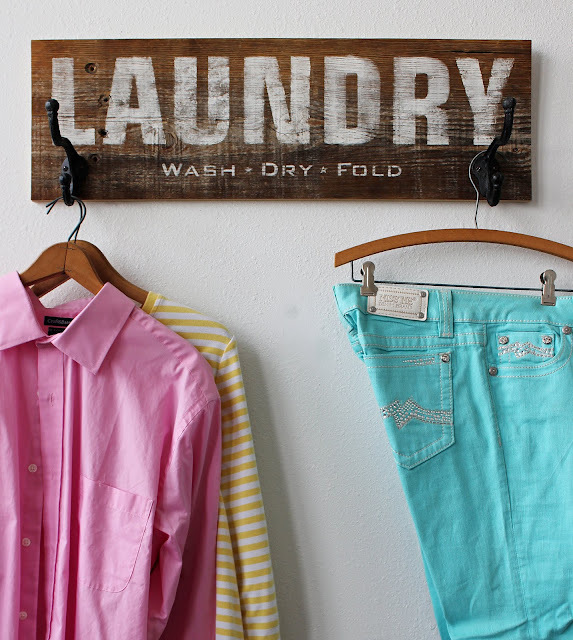 Yes, the hooks help so much when folding clothes or to hang up things that don't get dried.